Political parties in Pakistan have intensified their campaign to woo voters as only two days are left for voting in general elections 2018. The campaign for parliamentary elections will end today and voting for 342 seats of National Assembly will be held on July 25. The campaign for general elections in Pakistan will end today, July 23. Now all eyes have turned to the political battle which would define the future of the South Asian country, amidst the political storm that erupted after the conviction former Prime Minister of Pakistan Nawaz Sharif and his daughter Maryam’s conviction in the Avenfield corruption case. The father-daughter duo is currently in Rawalpindi’s jail. Three major parties, PLM(N), Imran Khan’s Tehreek-e-Insaaf, and Pakistan Peoples Party (PPP) are in the race to form the next government in the state. The voting for 342 seats of National Assembly will be held on July 25, Monday. Various media reports have indicated that Imran Khan’s party could win maximum seats in the upcoming general elections. 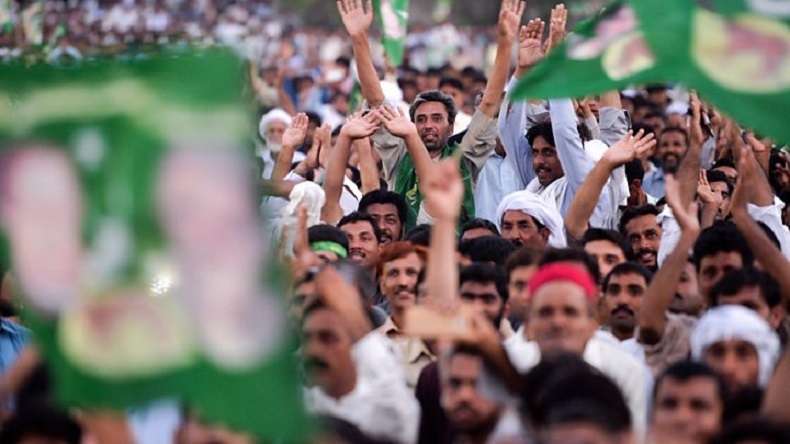 Many liberals, journalists, and political activists have raised questions on accountability in elections as military influence casts a shadow over Pakistan elections. Since 1947, Pakistan has been run by three military dictators, including Ayub Khan, Pervez Musharraf, and Zia-ul-Haq.